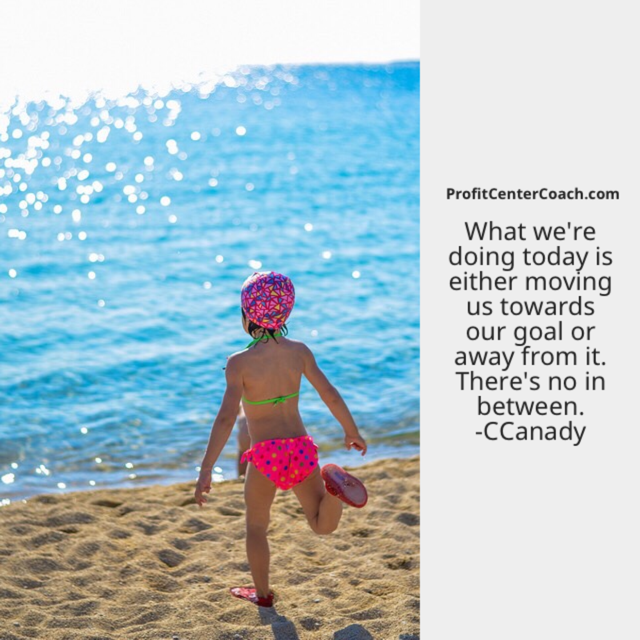 There’s no neutral or staying on place with goals. Proper goal setting involves deadlines, therefore you can only move toward or away from your goals. Small businesses have lots of roles to fill. Ultimately you want to make money so your goal may be to increase sales for the day. If you get distracted at work with a “crazy” customer problem or a maintenance issue in the bathroom and the result is it takes up your time for the day. Your goal of increasing sales for the day was affected, you actually moved away from your goal. Sure you can reset your goal, but it’s best to use the reset button because you’ve but 100% effort into achieving your goal and it needs more time, versus being distracted with a silly problem. Read more about quick goal setting techniques in my BigFishIdea.com article on goal setting. They you will learn about SMART goal setting (Specific, Measurable, Attainable, Reward, Time Orientated) – it’s a great technique. Check it out. I’d love your feedback… If you love this post, please “like” it! Episode #47 – Is That Quote Real?